An Icelandic farmer floating a sheep over a deep, cold glacier-river recently. What a horse – and farmer – the sheep ain’t doin too bad either!! The icelandic horse is the descendant of the horses that were in Norway in the time of the vikings. 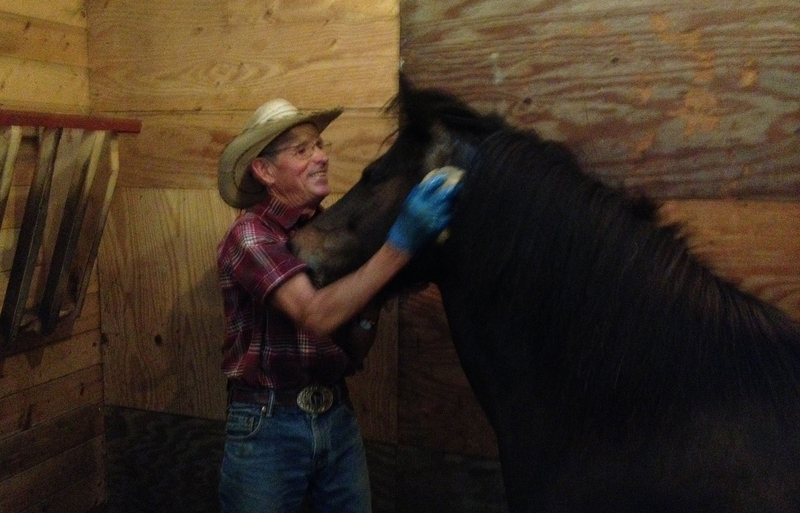 Perla getting a fly repellent sponged on by my friend prior to our trail ride – He is very good at getting horses to accept whatever act of doctoring or care required – see how well he has Perla accepting the sponge! 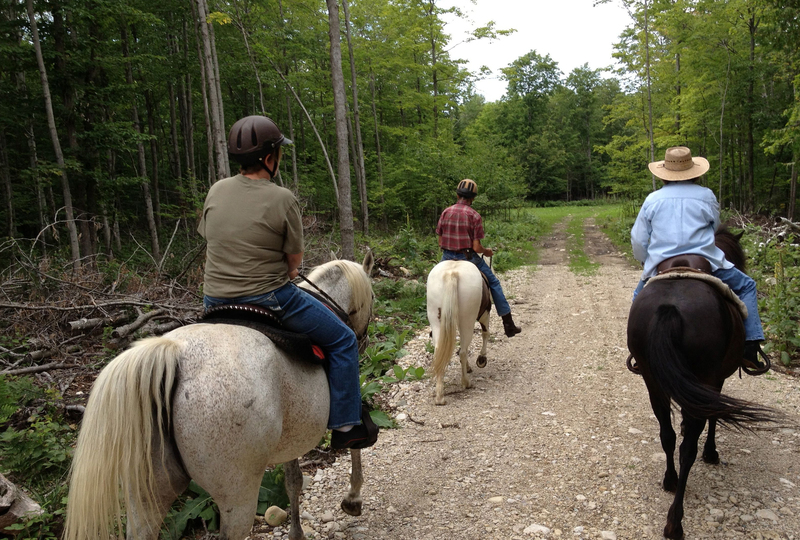 Typical view down one of the logging roads – we have miles of such trails available to us. Thanks to friends of our friends, the State of Michigan, the logging companies, and maybe we just trespass some times — never been shot yet! But I ask Perla – an ex-Viking — to keep a watchful eye! Did you ever own a breed of dog, cat, horse, –or maybe even a gerbil of which I know very little — As you do your research, you will find that those who write about your favorite breed make then sound like creatures that can walk on water, warm your bed, feed you dinner, and get your mail, clean your cloths, — They do just about everything a wife will do for you but for many fewer dollars and without grumbling about you bringing dirty shoes into the house or bringing drunk friends home for dinner — My research of the Icelandic, shows they walk on water and more, They even give forth the blessing of the Nordic-Viking Gods to their riders. I like northern outdoor breeds — I’ve had a Newfoundland, a Siberian Husky, a Scottish Border Collie, a Welsh Corgi, Belted Galloways, Aberdeen Angus, and now an Icelandic. Always wanted a Norwegian Fiord and a Dexter — Maybe next year – I have books on training them and a corral waiting! 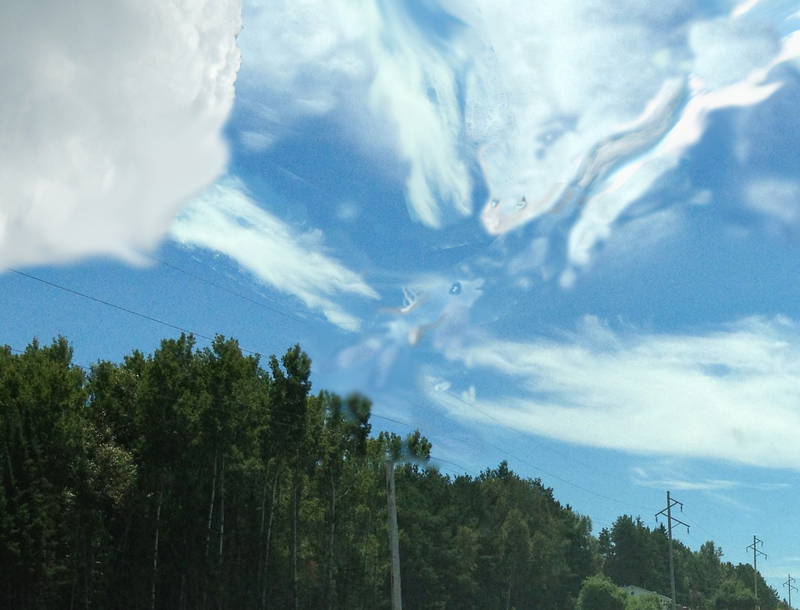 But the queerest they ever did see”…. “Ain’t no hay left on the ground. My last bale and well my tail is dragging. Hose me down and dress me up. Out the gate and let them horses run. One of the most fascinating features of the Icelandic horse is it’s extreme genetic purity. No infusions of outside blood has propably happened to the icelandic horses for over 800 years, and there is only one breed of horses in Iceland. 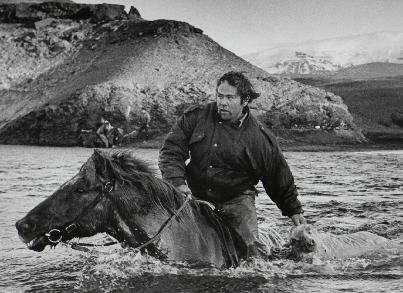 No horse that leaves Iceland can ever return. If a horse leaves Iceland for a competition, it can never return. So, U C, Perla is much purer than me — that is why the 10 point lesson plan, the one Perla and I have been going through, is for me more then Perla. Tomorrow you get more history written by a Icelandic Horse enthusiast – maybe biased — and our report card — filled out by me – may be biased. At full tolt we go into the rest of the day. Much to do — My son and wife arrive next week – Really looking forward to their arrival – maybe Perla gets a rider that knows what they are doing – My son’s wife!